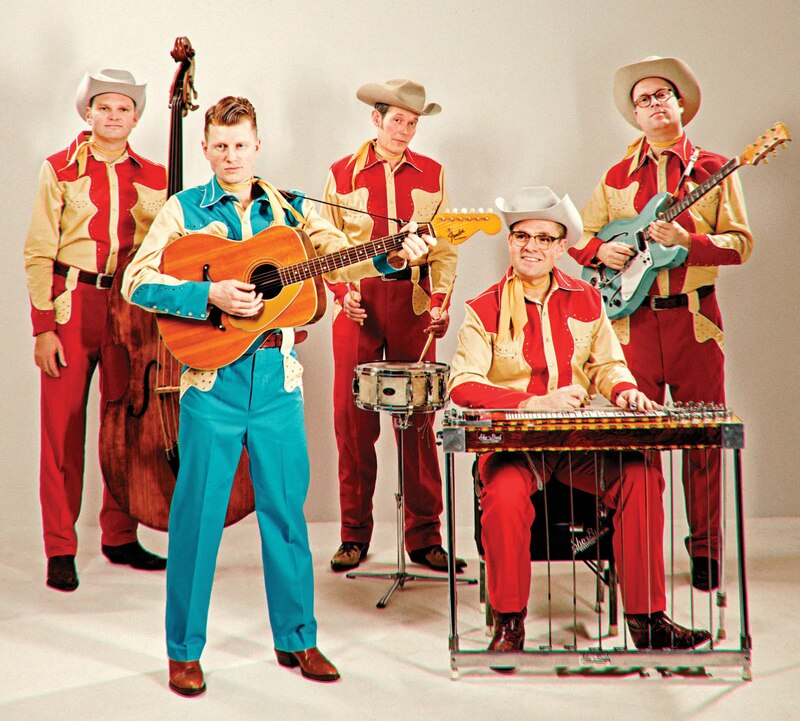 When one listens to contemporary Country Music these days, it bears little resemblance to the traditional sound that helped define the genre decades ago. 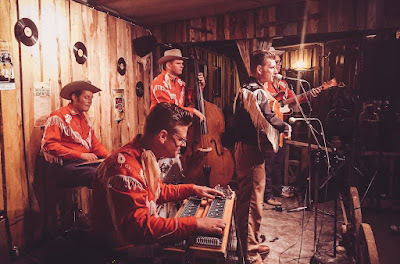 When Hank Williams, Faron Young, Patsy Cline, George Jones and Johnny Cash sang, you could almost smell the beer-soaked wooden floorboards of the old honky tonks coming through your radio. Nowadays, when you listen to contemporary Country Music, all you can smell is the mall. For better or worse, Country Music has gone through many changes over the years and remains one of the most consistently popular – and profitable – genres of music in the U.S. However, while it has been pushed out of the limelight in the States, the traditional Country sound of the ’50s and ’60s remains hugely popular in Europe. Many iconic Country & Western artists that have long since been forgotten in their homeland are revered in countries they probably never set foot in. Ray Price, Marty Robbins, Don Gibson, Marvin Rainwater, Stonewall Jackson and Hank Snow are just a few of the pioneering artists that are seldom remembered by a generation of Americans who were born after the Urban Cowboy-inspired Country resurgence in the ’80s. We must now look to these European countries if we want deluxe reissues and box sets from these Trad Country acts, who seldom have more than a single disc ’hits’ collection available here in the U.S. of A. Another by-product of Europe’s love of American C&W music is the fact that so many younger artists have been inspired by the older recordings and are now bringing the Trad Country sound back full circle. 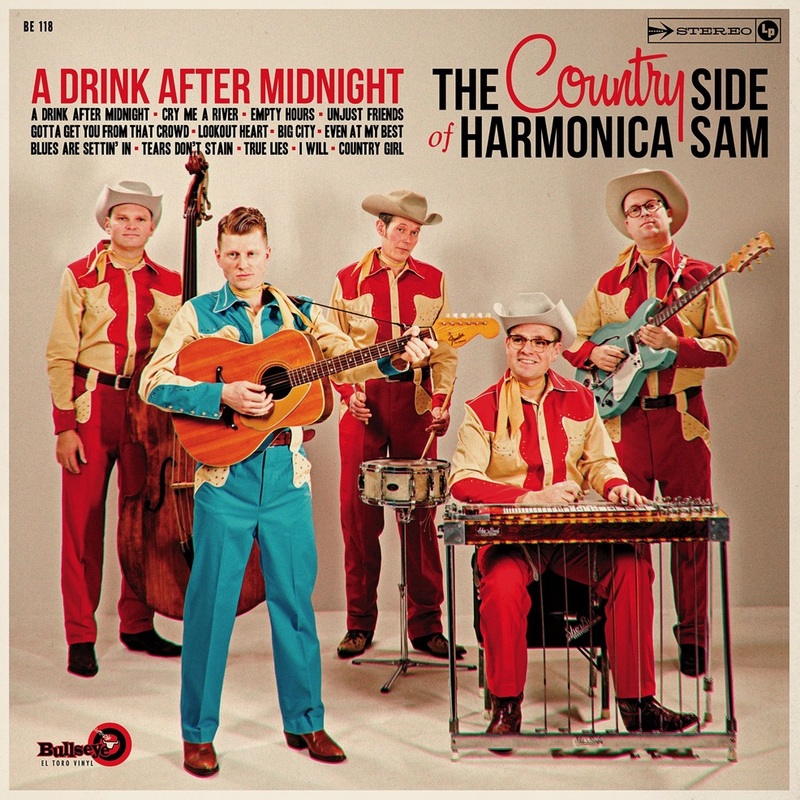 One such band is Sweden’s The Country Side Of Harmonica Sam. 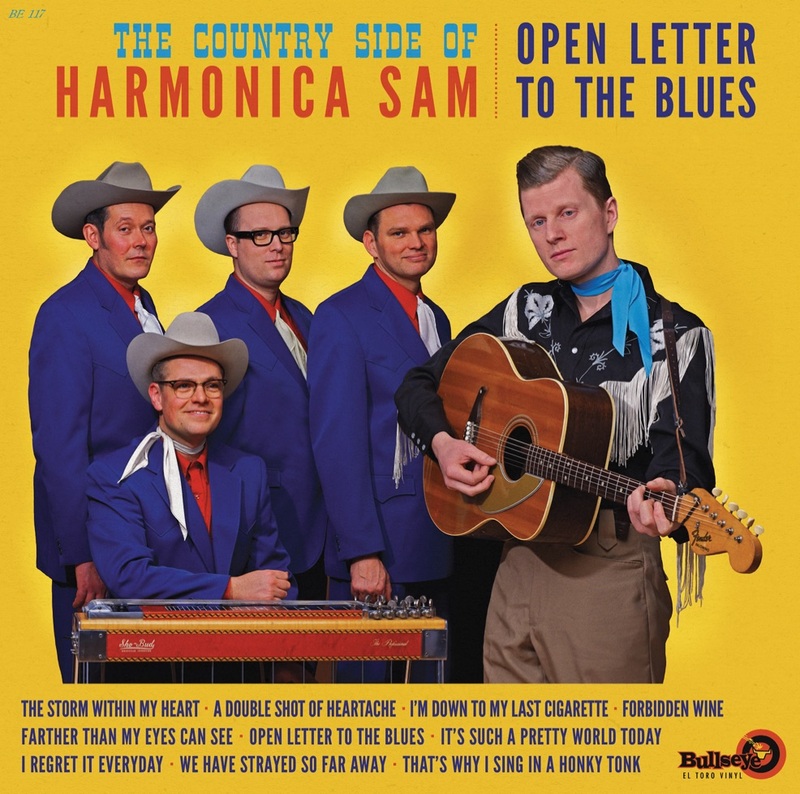 The first thing one notices when listening to their music is the complete lack of a harmonica on their recordings – quite strange for a band that goes by the name of The Country Side Of Harmonica Sam! But hold on - there’s a good explanation for that! Apparantely, singer Sam Andersson earned that nickname when he played Blues harmonica in the ’90s. He’s moved on musically but the nickname stuck. The second thing one notices when spinning their records is their authentic Honky Tonk swing. Some bands tip their hats to the past in tribute to their influences but not these guys! 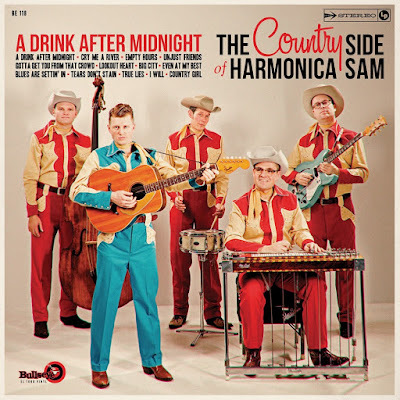 The Country Side Of Harmonica Sam immerse themselves into every aspect of the Honky Tonk music and lifestyle of the era – from the matching outfits to the ’live in the studio’ analog recordings. The only thing that would make this music more legit is if they time-travelled back some 60 years and recorded with Owen Bradley! The band’s 2017 album, A DRINK AFTER MIDNIGHT, is an excellent follow-up to their debut album OPEN LETTER TO THE BLUES (2015). ”Lookout Heart,” Even At My Best,” ”Cry Me A River,” and the title track leap from the speakers and fill the room with that beer-soaked aroma missing from the genre today. ”Blues Are Settin’ In” adds a touch of Buddy Holly’s melodicism. Sam’s vocals on tear-jerkers like ”Country Girl” and ”Tears Don’t Stain” will reach deep inside and break your brittle heart. The rest of the album is just as exciting as the tracks I’ve pointed out already! A scorching good time from beginning to end, A DRINK AFTER MIDNIGHT will satisfy your desire to reconnect to that part of you that longs for a simpler, better life when Honky Tonk was about loving, drinking and letting go! Stephen SPAZ Schnee sent a load of questions to the band and guitarist/harmony vocalist Johan Bandling Melin took time out of the band’s busy schedule to answer them. JOHAN BANDLING MELIN: On our latest album A DRINK AFTER MIDNIGHT, we wanted a more “modern” sound and took a step forward from the mid ’50s to the early ’60s, sound-wise. Just like with our debut album, OPEN LETTER TO THE BLUES, it’s recorded analog to tape and live with everyone playing in the same room. Even the vocals. OPEN LETTER TO THE BLUES were recorded in Lightning Recorders in Berlin which is a great vintage studio but we wanted the possibility to be able change the levels in the post production so for A DRINK AFTER MIDNIGHT we chose Gula Studion in Malmö, Sweden. Also a great vintage studio but with some more modern possibilities. The recording was spread out over a year and we did three one day sessions all together. 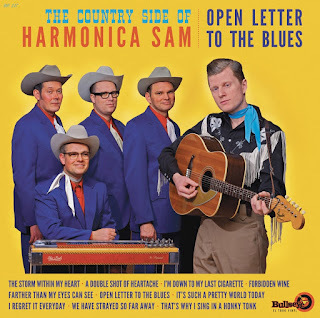 The songs are a mix between originals and some of our favorite songs from legends like Skeets McDonald, Faron Young, Coy Jackson, Ferlin Husky and Bill Phillips. JOHAN: Musically, we’re really into medium tempo shuffles in a Ray Price fashion so I think the title track ‘A Drink After Midnight’ is a good song that captures that. But Sam also has a great voice for Country ballads so ‘Empty Hours’ would be a good example of that. JOHAN: We always think of it as an album from the start and try to get a good mix between the songs that we choose to record. Unfortunately, we haven’t recorded any waltzes yet but hopefully we will fill that quota on our next album. We are also very picky with the album cover and we’ve had the pleasure to work with Chris Wilkinson on both albums. So yes, we see it as a whole piece of work. JOHAN: It came together pretty organically. There’s three different songwriters for this album and a handful of originals ended up on the final cut. Parallel with the originals, we started to pick out covers that we’d done live and that we’d grown fond of. Songs that would suite what we already had. JOHAN: The songs we couldn’t agree on did’nt end up on the album. It could be either that someone didn’t like a song or that we weren’t happy with the studio take. So there are a few originals that we recorded but didn’t do justice and maybe we’ll give them a new chance next time we record. Country Music is all about the singer and you can tell pretty soon if a song is gonna work out or not. JOHAN: We are all happy with the end result but of course there are things we might do different on our next album. When you record the way we do, live and all at once, it’s pretty much already finished when you leave the studio. Especially on OPEN LETTER TO THE BLUES when everything went straight to tape so there was only some mastering left to do. On A DRINK AFTER MIDNIGHT we did some more mix work but not much. We like to work pretty fast and if we do any mistakes we just try to do better the next time instead of spending too much time on each moment. JOHAN: To us, the golden era of Country Music was between 1959-1961 and especially the way Ray Price, Faron Young and Skeets McDonald sounded those years. But you can also trace some Pop influences which is kind of a new influence to us. JOHAN: The same year we recorded, we also played at the Ameripolitan Music Awards in Austin, Texas. As a European band just hanging out in Texas, it was a very inspiring experience to us. JOHAN: No, not really. We just do what we do and try to get better for each album we release. JOHAN: We just got back from a tour in Spain and France so we’re just gonna take it easy for the rest of the year and work on some new material. Next year, we have some dates booked around Europe and hopefully we’re gonna start to record a new album. We are also nominated in the Honky Tonk Group category at the 2018 Ameripolitan Music Awards for the third year in a row. Our steel player Peter Andersson is also nominated in the Ameripolitan Musician category this time. PATRIK: Some early recordings with Ray Charles. JOHAN: Ray Price from his early 60’s period and some George Jones recordings from the ’50’s.